Timelines are popular PowerPoint design tools. 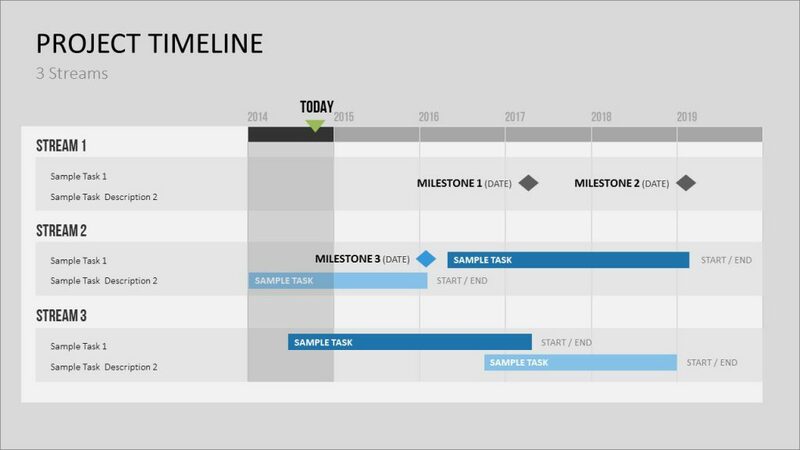 Not only do they clearly visualize processes and tasks, but well-designed timelines also enhance the overall visual impact of a presentation. 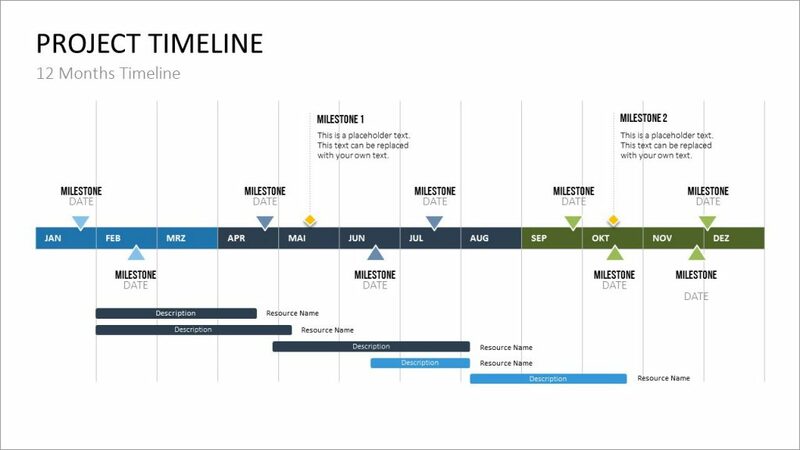 Timelines are used to present a company’s history. But they are also effective for visualizing projects or product life cycles. Project management involves developing and carrying out various project steps and tasks. Scheduling, delegating, and realizing the various phases of a project all play an important role in planning. Large projects make this planning process more complex and often require a greater number of people to be involved. There are special tools and programs that can help with such detailed planning. Nonetheless, a project manager must always be ready to provide team members and superiors with up-to-the-minute information about specific phases, milestones, and responsibilities. A graphic timeline allows this information to be easily consolidated and visualized. Individual projects are a huge part of daily marketing and sales activities. This could be anything from trade fair dates, press releases, or advertising campaigns. All these measures require detailed scheduling. Campaign planning is usually carried out by several employees who then present to the entire team. Timelines are a great way to visualize and streamline this content, making it easier for colleagues to process and understand the information. PowerPoint can also be used to create Gantt charts without the need for any special software. This type of graphic is especially suited to smaller projects or can be used to clearly illustrate a project’s development and duration. 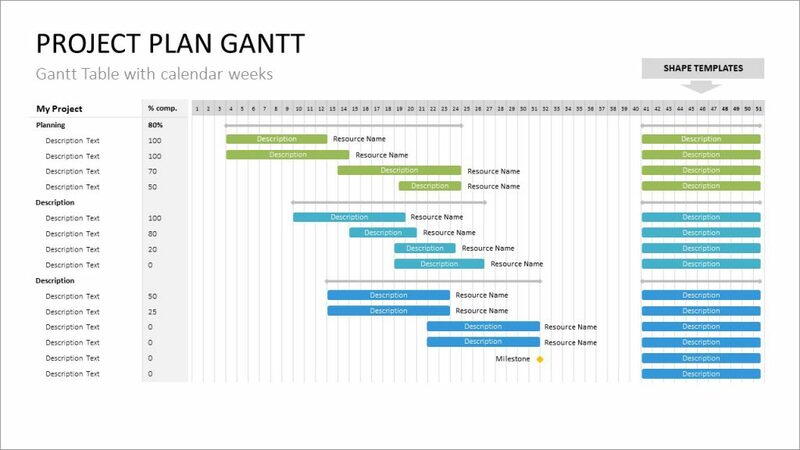 High-quality Gantt charts are easy to create. All you need to do is move the milestones and bars on the timeline and adjust their position and width. 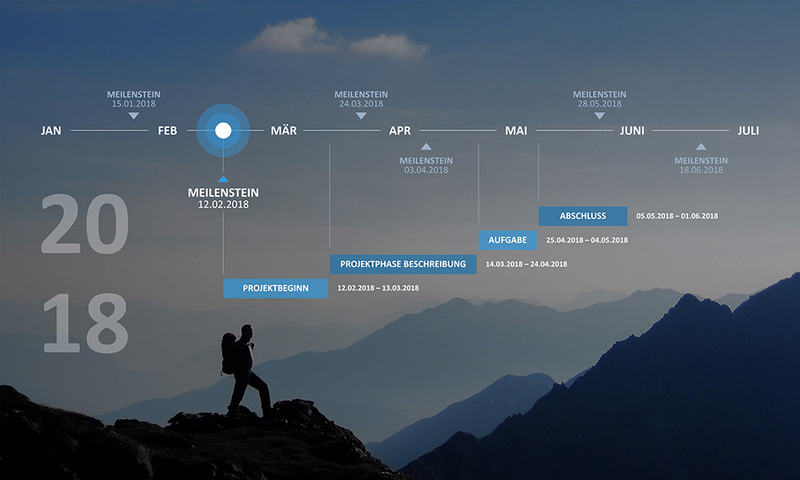 This allows you to present a rough project plan or initial concept without the need for project management software. Time never stands still. Everything is in motion and constantly evolving. Timelines follow this principle. Be sure to build your timeline left to right, as this direction is universally considered to be positive and is associated with growth and progress. The arrow is an effective symbol for a timeline. It clearly defines the target direction and represents momentum. Would you like your presentation to have more visual impact? Consider adding an evocative photo to a timeline. Images of mountains or roads symbolize growth and development and are ideal images to highlight your timeline data.